Whether your catering needs are for private parties, small corporate functions or large scale events, look no further, as we’ve got you covered with this scrumptious list of caterers that will take good care of your guests’ cravings and appetites. 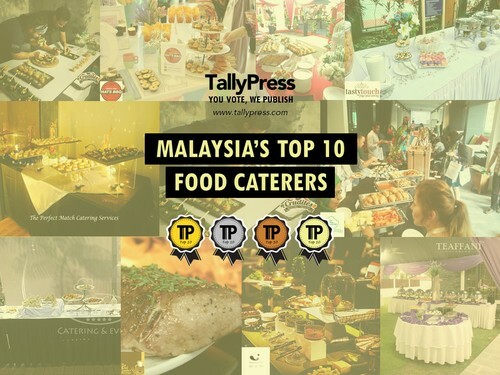 Voted by the public, we present to you Malaysia’s Top 10 Food Caterers you should engage for your events. 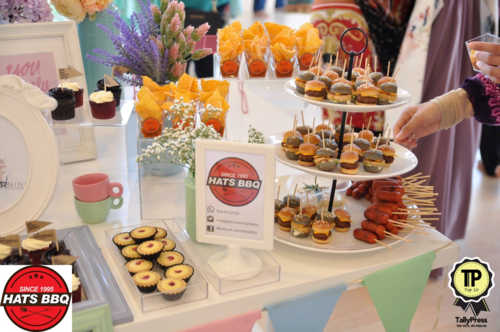 Based in Klang Valley, the team at Life Bites Catering have a passion for making sure every single bite you take is made up of mouthwatering and delectable treats. Quoting its tagline “Taste That’s Larger Than Life”, Life Bites Catering is committed to providing you with the tastiest, highest standards of food by using only the freshest ingredients. Whatever the occasion, Life Bites Catering believes creativity plays an important part in designing a menu that is suited to your guests’ taste buds. 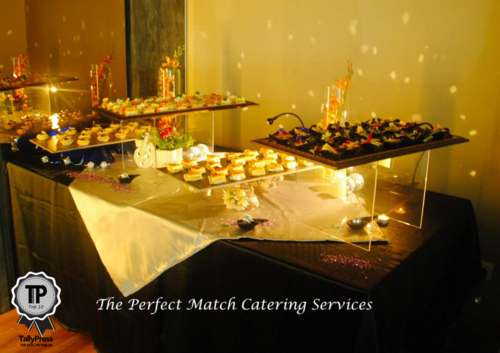 Like its name suggests, The Perfect Match aims to be your perfect choice for catering with its reasonable prices. With the belief that “good food brings people together”, The Perfect Match strives to bring the best quality of food to you around Klang Valley. Spearheaded by Chef Leong, who has over 20 years of experiences in F&B including the renowned Tai Thong Restaurant, the team is here to ensure you and your guests have a memorable occasion with its delicious food. Whatever the occasion, Elite Catering is here to make your life easier, doing so with style and of course delicious savory menus too! 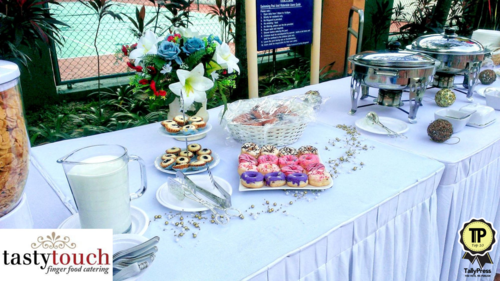 As a full-service catering and events planning company based in Klang Valley, Elite prides itself on their highly experienced team that is dedicated to providing incomparable, reliable service. At Elite, the team’s top priority is to exceed expectations in every way, and that includes the standard of its food such as Nasi Lemak, Satay, and Sarawak Layer Cakes. 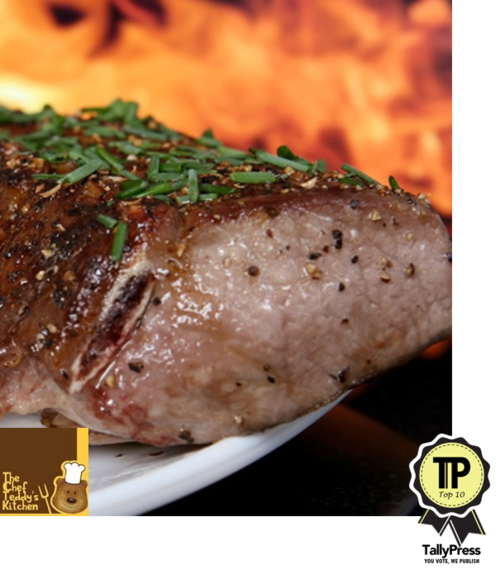 The Chef Teddy’s Kitchen brings its creative flair of grilling to your event. If you don’t like cleaning up the mess, Chef Teddy’s BBQ catering package is effortlessly designed for you. All food is freshly marinated & grilled on-site, and Chef Teddy is dedicated to serving you and your guests with sizzling hot & fresh food. The Chef Teddy’s Kitchen is led by seasoned Chef Teddy who has 10 years of experience in F&B since he started his career in a 5 star hotel. At Big Onion, they love putting good food on plates and pleased smiles on faces. Constantly challenging themselves to bring you innovative concepts, Big Onion takes pride in what they do best, serving you selections of highly palatable and hygienic halal food that speak for themselves, in terms of both presentation and taste. Starting in 2006 as a humble family business in Klang Valley, Big Onion today is more than just a food caterer — they’re a trusted partner in offering complete event management services for every occasion. Founded on the concept of less is more, Hats BBQ aspires to achieve the highest standards of food in taste and presentation. Covering various types of food such as Asian Fusion, Barbeque, Buffets, Burgers, Food Stands, Hot Dogs, Italian, Pizza, Sandwiches and Soul Food, Hats BBQ is committed to taking care of all the details from preparation to clean up, as they believe in customer satisfaction to make every event a success. Hats BBQ is ideal if you are hosting a light, casual event or party. 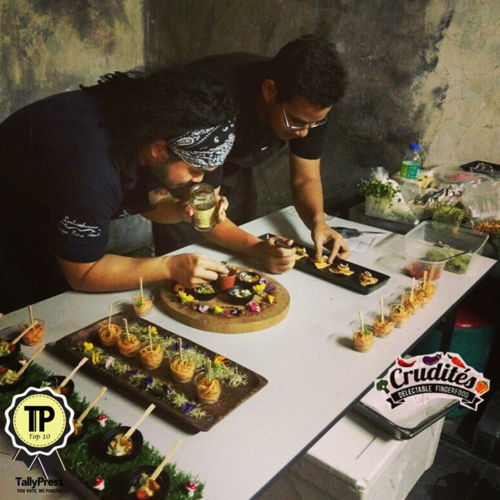 Providing customised Canapes, Tapas & Desserts to suit to your event, Crudites Events believes quality, creativity and uniqueness are the game changers. While striving to satisfy your unique cravings with their magical touch, they bring culinary delicacies to a whole new level, and aim to create a memorable experience for their guests. 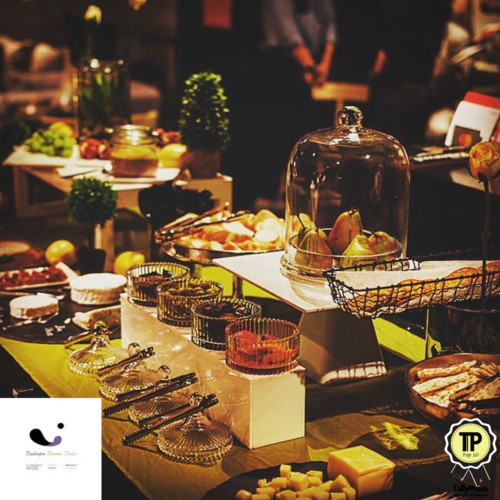 Calling themselves “Purveyors of Pleasure”, Crudites Events feels the possibilities with taste are endless, and that it is crucial for them to improve to serve you better. 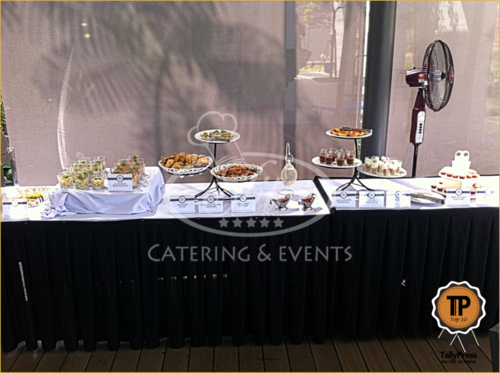 Teaffani Catering is known for providing deliciously beautiful catering service. 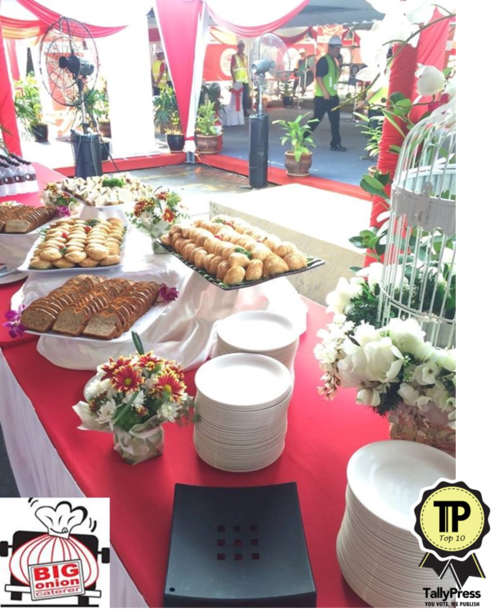 Specialising in corporate, wedding, birthday and private catering in the Klang Valley area, professionalism is key to the success of Teaffani Catering. From tableware to custom equipment, Teaffani Catering is here to take care of all of your needs. 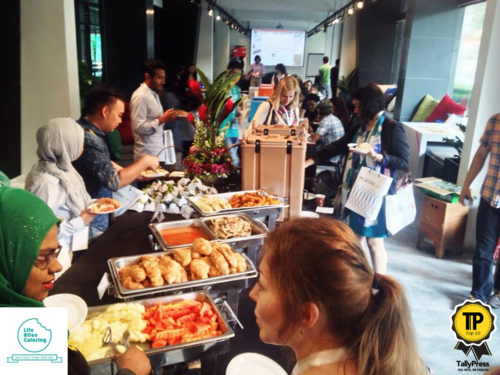 It is no wonder they have been serving clients ranging from some of the biggest companies in Malaysia to household baby shower parties. Let Teaffani’s team of highly qualified professionals make your event a pleasure. Known as one of the premier full-service catering and events planning companies, the team at Aubergine Catering and Events believes in elegant simplicity for all their implementations. Not only do their food reflect passion for perfection, their beverage and even event décor are proof of their commitment to exceptional quality. Aubergine’s whole approach is to understand their clients’ visions and to work closely with them to create events that consistently exceed expectations and create positively memorable experiences. According to the team at Tasty Touch, delicious and pretty little finger foods aren’t just sustenance; they help to create mood, and can be a talking point too. Offering bite-sized and easy to eat food, Tasty Touch is here to make your gathering extra special with their selection of finger food and other tempting appetizers. Remember: for Tasty Touch, no order is too small or too large, as their goal is to make your event an unforgettable one.